THIS IS A CLOSED CASE PLEASE DON’T SHARE ANY MORE. 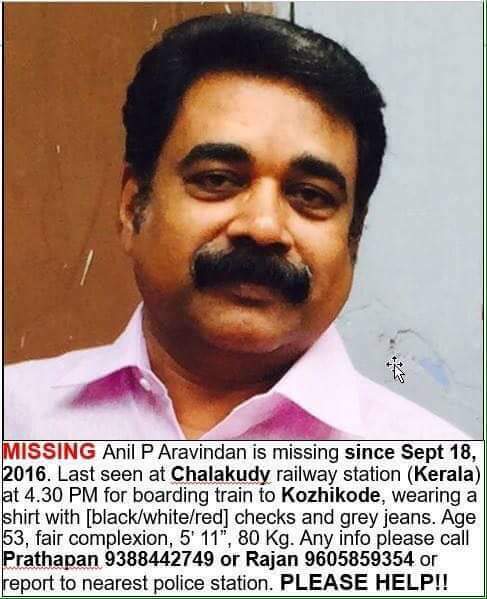 Missing Anil P Aravindan is missing since Sept 18, 2016. 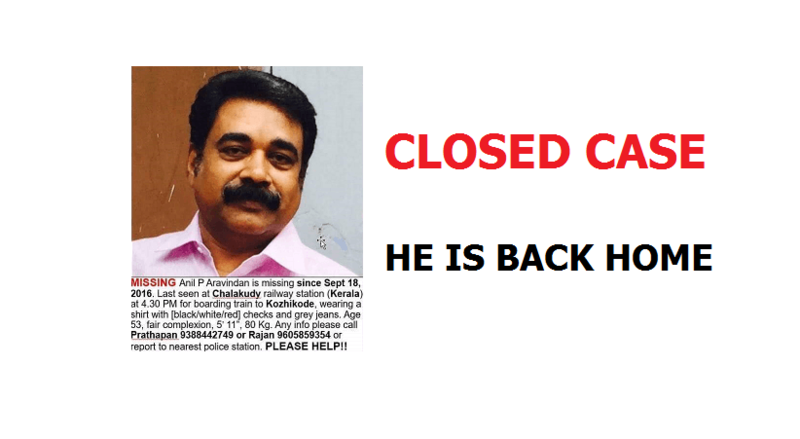 Last seen at Chalakudy railway station (Kerala) at 4.30 PM for boarding train to Kozhikode, wearing a shirt with [black/white/red] checks and grey jeans. Age 53, fair complexion, 5’11”, 80 Kg. Any info please call Prathapan 9388442749 or Rajan 9605859354 or report to nearest police station. PLEASE HELP!! Below twitter post verifies that the man is back home. He is back home & safe. Thank you everyone for the help!